​Bayern Munich sporting director Hasan Salihamidzic has dismissed reports linking on-loan midfielder James Rodriguez with a move to Arsenal. Rodriguez is in the final six months of a two-year loan deal from Real Madrid, but has fallen out of favour under new manager Niko Kovac. Reports emerged recently suggesting that Bayern were keen to terminate Rodriguez's deal and allow Arsenal to secure a six-month loan deal. 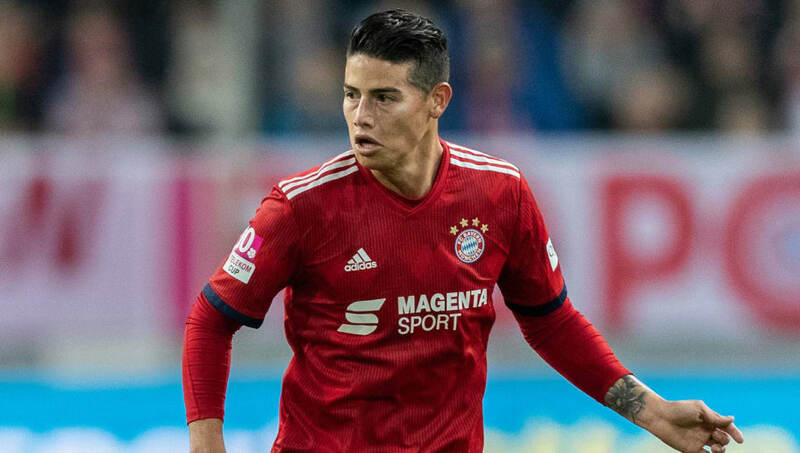 However, in an interview with Bild (via ​Metro), Salihamidzic insisted that ​Bayern will use the last six months of the season to decide whether they want to sign ​Rodriguez permanently or not. He said: "We will look at the second half of the season and we will draw the right conclusions." Salihamidzic then rejected claims that Bayern could look to sign Rodriguez and instantly sell him on for a profit, saying: "This is not Bayern’s style. "If we decide to sign a player, then he also remains a part of Bayern." ​Arsenal are thought to only be able to pursue loan deals this winter, as a lack of transfer funds has left them struggling to add to their squad. With midfielder ​Aaron Ramsey set to join ​Juventus on a free transfer at the end of the season, Arsenal would need to sell another player before reinvesting those funds. ​Mesut Ozil is one of the players who has been heavily linked with an exit from the club. The 30-year-old has reportedly fallen out of favour under Unai Emery, and has been linked with a move to the likes of ​Inter and Juventus, and it is thought that Arsenal are keen to arrange a permanent deal for the German. He has missed several games this season due to injury, although there has been much speculation that clashes between Ozil and Emery are to blame for the former's absence from the matchday squad.